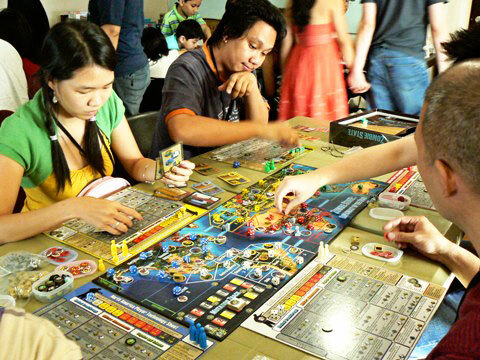 PINOYMONEYVANTAGE | Personal Finance in the Philippines: Who says board games are boring? At home, I was still thinking of that board game I had before. I poked around my elder brother’s room if he still has hidden somewhere the stash of old toys we had, and, finally, I found the old box of toys, the board game still in it although understandably not in mint condition. Good thing our old “Millionaires Game” was still intact even if the box was a bit tattered having been hidden for almost a decade. This didactic game was published and locally distributed by Mabuhay Educational Center Inc. The price of this board game is very affordable. The board game is still playable and complete except for a few missing pieces of $500 or $1 play-money bills, the board itself and the two pieces of dice, small houses and five tokens for the players to use. The objective of the game is for the player to gain and earn far more cash, stocks and real-estate properties than his or her competitor. 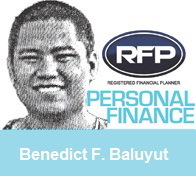 This game tests one’s intelligence and resourcefulness in the form of financial planning and resource management and the use of strategic investing principles. The board game teaches real-life wealth-building skills that one can carry and apply when time comes to invest in real-estate, bonds and stocks. There are also other board games available in the market, the likes of “Monopoly” by Hasbro Games and Toys and “Cashflow 101” and “Cashflow 202” by Cashflow Technologies under Robert Kiyosaki’s Rich Dad Brand in the United States. Although these games are a bit pricey and are imported, these didactic materials aim to teach financial literacy and influence wealth-building concept by buying and selling stocks, cash-flow appreciation and leverage. There is also another game which is similar to these board games but have the opposite or reverse goal of losing all your money called the “Mad Magazine: The What-Me Worry?” game by Parker Brothers which I and my elder brother played when we were teens having borrowed these from his high-school friend and we did have fun with it, as well. Other than teaching kids or teens early on money concepts, these games are fun to play with for both parents and their children because they are very engaging. The interactive social-building activities, in turn, create a stronger relationship and reinforce family ties. I believe these board games truly enhance and teach a child or a young adult personal finance and help instill financial independence at a very early age. Being an entrepreneur and investor at the same time is full of opportunities and challenges. The board games will help them understand these concepts early on.